So often relegation fodder in both the media and real life, Worcester Warriors, while contending with the threat of Championship rugby once again next season, have attained an air of excitement this season with the promise of what is to come. 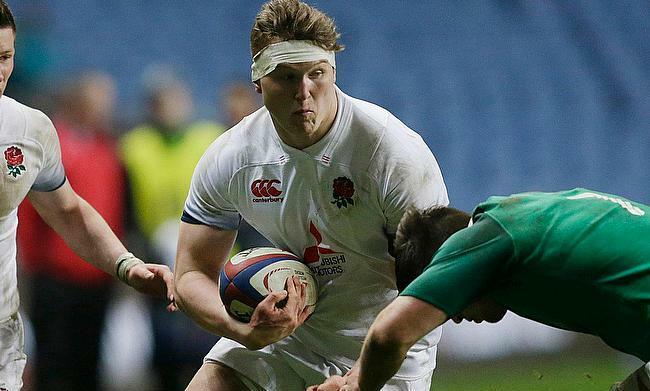 This excitement arises from a host of potential stars climbing through the ranks at Sixways, with 19-year-old England cap Ted Hill spearheading a promising cohort. Hot on the tail of Hill are centre combo Ollie Lawrence and Will Butler, while tighthead prop Kai Owen and fullback Nick David are the next names set to burst onto the senior scene. Speaking to Talking Rugby Union earlier this week, Worcester Academy coach Gordon Ross lifted the curtain on the process of currently nurturing a host of future Premiership starlets. A former Scotland fly-half turned transition coach, Ross and Worcester Academy Manager Chim Gale have earned the right to share an extra grin or two this week, having overseen a victory for the Worcester Cavaliers – the club’s development side – over the Northampton Wanderers in the Premiership Shield on Monday evening. Ross may have turned his focus from full-time professional rugby to the tending of Worcester’s budding crop just four years past, but he has already played his hand in the development of a significant number of auspicious fledgelings. Speaking to TRU, the 41-year-old Warriors coach revealed the process that nurtured the likes of Hill and Lawrence. When asked to on his thoughts on the health of the Warriors’ Academy, Ross said, “Yeah, it’s been great. Over the last two years, we’ve had more or less than 10, 15 guys from the Academy getting opportunities at first-team level, and that’s what the Academy is there for. “The standard of the boys’ training performances is good and training with the senior guys every day makes a big difference. It gives them the opportunity to see what it’s like to train at the top level, and the senior guys are very good with handing on advice as well. One mode of gauging an Academy’s success is the number of club representatives within the national age-grade setup, with Worcester boasting a strong contingent of Sixways players within the current U20 squad. However, Ross was keen to highlight the importance and desire the Academy setup harbours of promoting their charges beyond age-grade recognition and into the senior setup, making up as much of the Premiership squad as possible in a challenging professional climate. When asked to expand upon the challenge of converting players from age grade to senior rugby, Ross said: “It’s just understanding that gap between schoolboy rugby and senior rugby. These players have always been the best players at school, so they get the ball and they make breaks or smash people and now they have to find ways of getting on the ball in space as best as possible, and it’s about trying to put them in-game scenarios. “They’ve got a good mentor system with the senior group and they help them out and give them advice on and off the pitch. So there’s a nice link between the senior group and the Academy players that weren’t here three or four years ago. The club’s inclusive methods seem to have paid off for the Warriors, with the likes of Ted Hill nurtured by Ireland lock Donncha O’Callaghan, who tipped Hill as a future British and Irish Lion, and Lawrence and Butler sat alongside World Cup winner Wynand Olivier and current England and British and Irish Lion Ben Te’o between training reps.
As far as building a sustainable squad goes in this ever challenging age of the salary cap and Premiership owners pumping money into clubs as a loss, on the face of things at least, continuing to develop these youngsters is a clad iron method of future proofing a competitive squad. Asked to pick out one or two young guns set to follow the likes of Hill and Lawrence, Ross highlighted the progression of loosehead prop Kai Owen. Owen had at one point been dropped from the Worcester Academy, struggling to make the grade in the competitive Worcester ranks. Having re-joined the Warriors Academy last summer, Ross praised the prop’s relentless hours of training, often alone in the evenings. “He’s one that wasn’t wanted by other people, and we kicked him out a couple of years ago, but he’s done really well and come back and performed well. He puts a lot into it and he’s learning well, so he’s there. “We’d be training the younger academies in the evening and he’d be coming in by himself just running up and down the sides of the pitch trying to get fit and doing bits and pieces. He’s worked closely with some of the senior groups, and senior players have given him good advice. Mefin [Davies, Worcester’s scrum coach] and Mike Hill [Academy forwards coach] have helped him massively with his scrummaging and it’s come on. But the time spent by Owen and his fellows at Sixways is not the sole source of their success, as Ross himself admits, you can never truly reproduce the stresses and mental challenges of a full-blooded game on the training paddock. Part of the youngsters’ rise must be attributed to the National League and Championship sides that field the next generation’s best. “We encourage our players to play as much as possible when they can and the local clubs have been excellent helping them out,” Ross said. “It’s a good experience for them to play senior rugby as well, coming out of schoolboy rugby and they can’t just dance around all day and have fun. They’ve got to roll their sleeves up and there are some pretty horrible places they’ve got to go, three of four-hour coach trips and get back about midnight. “But they enjoy it and there’s a good chance for them to mix with other people as well, to go and learn about other clubs and obviously on and off the field, hey can meet new people as well. While Ross and Gale will continue to develop Worcester’s local emerging talent, they keep a keen eye on the potential stars dropping out of other academies in hopes of polishing hidden gems in Sixways’ rugby factory. One such example is Wales Grand Slam wing Josh Adams, who may have been born in Swansea and schooled in Carmarthen, but was picked up by the Warriors after failing to retain a spot in the Scarlets Academy. “We’ve got a few guys in the Academy if you look, Josh Adams wasn’t wanted down in Wales or the Scarlets Academy. We managed, through recruitment, to get him in and he’s got an appetite for rugby and has gone on to great things. It gives guys motivation sometimes, they have to prove something and sometimes it’s not a bad thing.